1. Place corn under broiler and rotate ever 30 seconds or until each side begins to blister and char. 2. Slice kernels off of cobs and place into a mixing bowl, discarding cobs. 3. Add to the mixing bowl with the corn, the cotija, Parmesan, cilantro, lime zest and juice, and 1/4 cup mayonnaise and stir together. Season with salt and pepper. 4. Place all spices for spice blend into a small mixing bowl and whisk together. 5. To assemble: Spread a small amount of mayonnaise onto each crostini and sprinkle with the spice blend. 6. 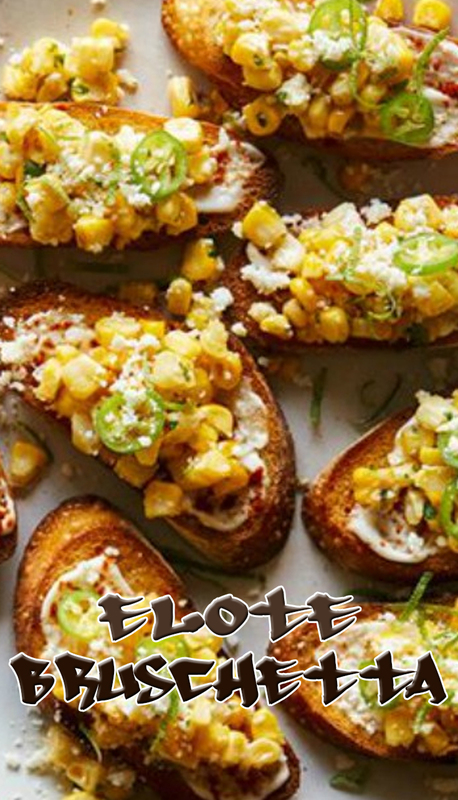 Top each prepared crostini with a spoonful of the corn mixture and serve immediately.